China's latest TV hit is "Love of O&G Department" (Aide Fuchanke, 爱的妇产科). 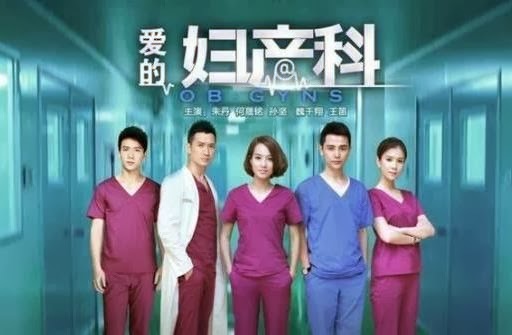 The program about the lives and loves of five doctors in a hospital obstetrics and gynaecology department has been praised for its fresh approach, innovative style and good storylines. It features the usual mixture of love lives, fraught work relationships and dramas centred on patient stories and the success and failure of the doctors' treatments. The series is produced by the Hunan TV studios and has gained good feedback on Chinese social media sites such as Weibo. Many have praised it as being in the same glamorous and realistic style as US produced English language medical series such as Grey's Anatomy. It features famous actors such as Zhu Dan, He Chenming and Sun Jian. Eating chilis is beneficial for insulin resistance and may help ward off diabetes, Beijing researchers have shown. A study of 8433 adults done as part of the China Health and Nutrition Survey found that chili eating was associated with lower levels of insulin resistance compared to not eating chilis, for both males and females. The level of insulin resistance also related to the strength of chili food types (a little bit hot, moderately hot, and very hot), said researchers from the Sino Japanese hospital in Beijing. Their findings are published in the Journal of Medicinal Food. Police in Liaoning posed as doctors to overcome a man with mental illness who had taken a women hostage. The man had kidnapped his aunt and held her hostage in an apartment in Benxi, where he threatened to burn the house down. When police came to the scene they learned that the man had been an inpatient at a mental hospital and trusted doctors. They therefore borrowed white coats and face masks, which they donned and approached the agitated man. They were able to approach him by calling soothing words and they were then able to enter the apartment and subdue him without any harm to the man or his hostage, the Huashang News reports. The Ministry of Education has issued a tough smoking ban covering all the nation’s schools. IN a circular the ministry said smoking was completely forbidden for everyone everywhere within primary and middle schools, kindergartens and secondary vocational schools. Smoking-ban signs must be displayed in conspicuous places and smoking areas are banned. Stores in schools are prohibited from selling tobacco, and there must be no tobacco sponsorship or advertinsg. School principals will be held responsible for the ban’s implementation, according to the Beijing Daily.